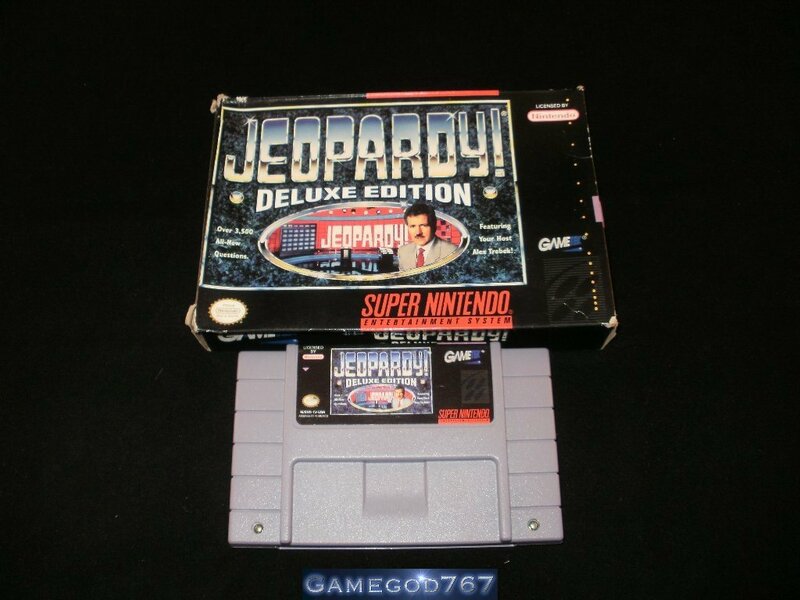 Good condition Jeopardy! Deluxe Edition for the Super Nintendo. This sale is just for the cart and original box; no manual is included.